The movie rockets in to action when an evil space warrior, Etelgar, forces a beautiful young alien princess, Alena, to trap every Ultraman hero in the Galaxy. 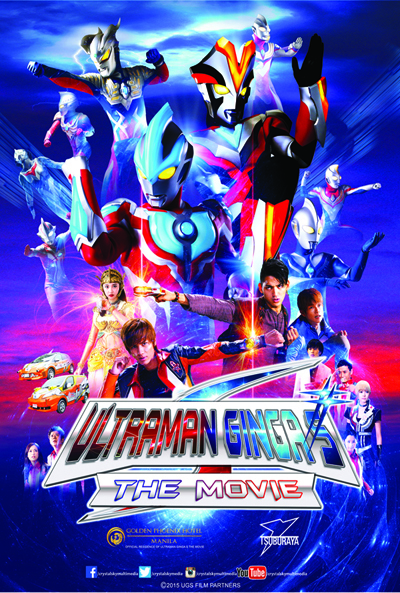 In order to stop Etelgar and save the princess and their fellow Ultramen, two handsome young men, Hikaru and Shou, must each transform into new Ultra-heroes, Ultraman Ginga and Ultraman Victory, and combine their super-powers. The main character of the Ultraman will also have a meet and greet on September 10 (Saturday) at the cinema lobby of Mall of Asia at 12:00 – 1:00pm and at SM Southmall at 5:00–6:00pm. The meet and greet continues on September 11 (Sunday) at SM Megamall cinema lobby at 12:00-1:00pm and at SM North Edsa at 5:00-6:00pm.